"Fall in love with the Cook Islands"
Rarotonga, the main island of the Cooks, is the perfect match for beach lovers and tropical nature fanatics. 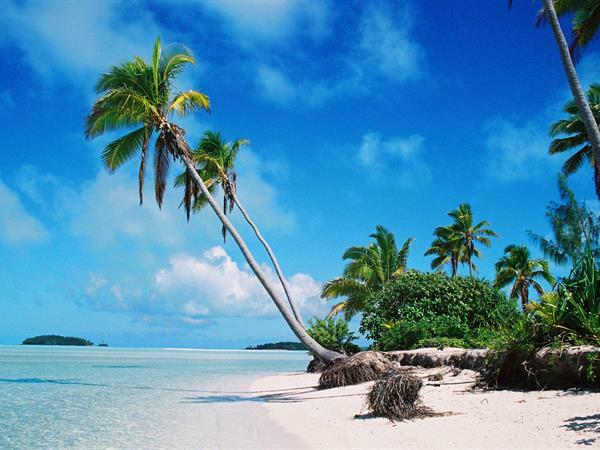 While enjoying Rarotonga, you can choose a day to visit the amazing island of Aitutaki. Swim and snorkel in the stunning clear blue waters of the Aitutaki lagoon, home to beautiful marine life and exquisite colourful giant clams! 7 nights package from $1782 per person twin share! Your stay includes the spectacular Aitutaki Day Tour! Moana Sands Beachfront Hotel is right on the beach located on the southern coast of Rarotonga. The property offers 12 Beachfront Studio Rooms and 5 Deluxe Beachfront Studios spread out over three levels, each with their own balcony and open views of the beach and lagoon. The lagoon here provides plenty of opportunities to explore on your own or spend a day at leisure on the long stretch of white sand. Moana Sands Beachfront Hotel is a great choice for all travelers looking for a beach-front option at a very reasonable price. Children are welcome. The property has onsite the Moana Restaurant & Bar which is a local favourite and known for quality and international cuisine. All rooms are beachfront - located meters from the water and enjoy unobstructed views of the beach and the lagoon. Friendly and relaxed atmosphere - you will experience the friendly, relaxed and professional service at this property. » The Aitutaki Day Tour includes: transfers to and from your accommodation, return flight (Rarotonga - Aitutaki - Rarotonga), Island tour of Aitutaki, Lagoon cruise and BBQ lunch, towels and snorkeling gears. » Valid for travel until 31 March 2020. » Rates are in New Zealand Dollars.